FROM A SHOUT TO A WHISPER – The moral authority of the Catholic Church in the United States continues to be discredited. 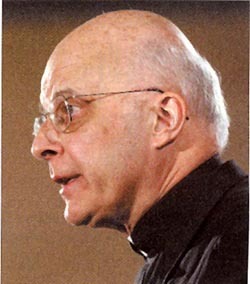 Her voice is today perhaps more a whisper than the shout it once was, said Cardinal Francis George of Chicago. While the message remains the same, “the moral force of the Church’s voice is quite weakened now,” the Cardinal affirmed on January 25. He pointed in particular to the crisis of sexual abuse by members of the clergy that is causing people to question the Church’s claim to moral authority. He did not present a remedy for the crisis except for this: “Listen carefully to the opponents. Why are they saying what they are saying?” (America, February 16, 2004). It is indubitably a quite insufficient remedy to so grave an illness. One would expect that a solution offered would be more profound, such as to abandon the Freudian sexual orientation the seminaries and priesthood assumed after Vatican II, and return to the strict norms of moral behavior that governed seminaries and clergy before the Council. But no, the Cardinal didn’t go that far. He just suggests that the Hierarchy listen to the enemies. Is this an effective way to stop the problem? Is that even his intent? CHANGING THE FACE OF THE CHURCH – The Catholic Church in England seems to be taking concrete steps to change the structure of its parishes. Some of the important dioceses of the country are consulting their parishioners to see how they would like to handle the priest shortage problem. Such consultations were made last year in Arundel & Brighton and Nottingham, and began last month in Leeds and Westminster. While the process promises to be painful for the faithful, the Bishop of Leeds, David Konstant, is cheerful about such future prospects. “Sometimes the Church grows and expands. At other times she has the prune and cut back so as to stimulate stronger growth. Be of good cheer. The Lord is asking us to do something new,” he stated (The Tablet, January 31, 2004, p. 34). What could be this ‘something new’ alluded to by Cardinal Murphy-O’Connor, and openly welcomed by Bishop Konstant? Besides the announced closing and merging of parishes, it most probably is a veiled invitation to the lay faithful – men and women – to take over all the ministries that don’t rely immediately on priests. To do away with large parishes and beautiful churches and try to reduce the meetings of the faithful to smaller numbers, moving in the direction of meetings in small, self-managed communities. “From today’s crisis, a Church will emerge tomorrow that will have lost a great deal. She will be small and …. will have to start from the beginning. She will no longer be able to fill many of the buildings created in her period of great splendor …. Contrary to what has happened until now, she will present herself much more as a community of volunteers …. "As a small community, she will demand much more from the initiative of each of her members, and she will also certainly acknowledge new forms of ministry and raise up proven Christians who have a calling to the priesthood. The normal care of souls will be made by smaller communities, in social groups with some affinity. …. Here we have the plan. In French one says: À bon entendeur, salut! Which translates to: For those who understand what’s going on, greetings! 1. 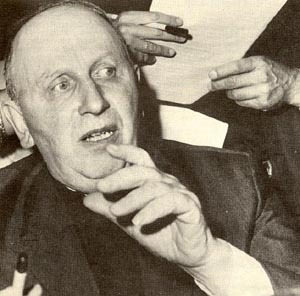 Y. Congar, Pour une Église servante at pauvre (Paris: Cerf, 1963), pp. 135-6. 2. 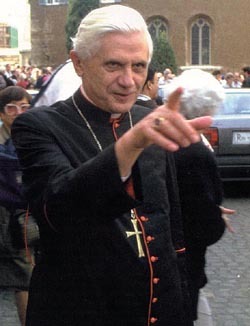 J. Ratzinger, Fé e futuro (Petrópolis: Vozes, 1971), pp. 76-7.